Viewing this course and completing the quiz that follows with a passing score of 80% or better will earn you 1 Continuing Education Credit. Dr. Michael A. Miyasaki is a 1987 graduate of the University of the Southern California School of Dentistry, and has been involved in dental education for over 21 years, 12 of which he was involved in live-patient treatment programs internationally giving him a unique perspective on the global challenges of the dental professional. Today’s patients still want a nice smile that is affordable. Traditional prepared porcelain veneers and No-prep porcelain veneer systems require high fees due to lab costs and chair-time. Today with material advancements and systems developed by Mr. Moshe Mizrachi, CDT, there is another option that is appropriate for many patients. Watch and learn about this new clinical technique that will help you build your practice and do the dentistry that you enjoy and your patients can afford. Sponsored by Mizrachi Dental Lab and Discus Dental. Dr Miyasaki reviews Pearlfect veneers and demonstrates how to take an accurate impression. Moshe Mozrachi, CDT demonstrates the layering technique he uses to build the Pearlfect veneer. The last layer of the Pearlfect veneer is added in this sequence and Moshe discusses where the finish line should be placed. Dr. Michael Miyasaki demonstrates the technique for seating the Pearlfect veneers. 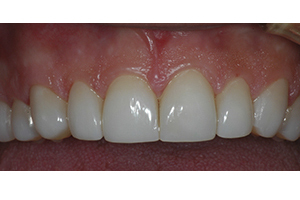 Recently there has been an effort to reintroduce the prepless or minimal preparation veneer.